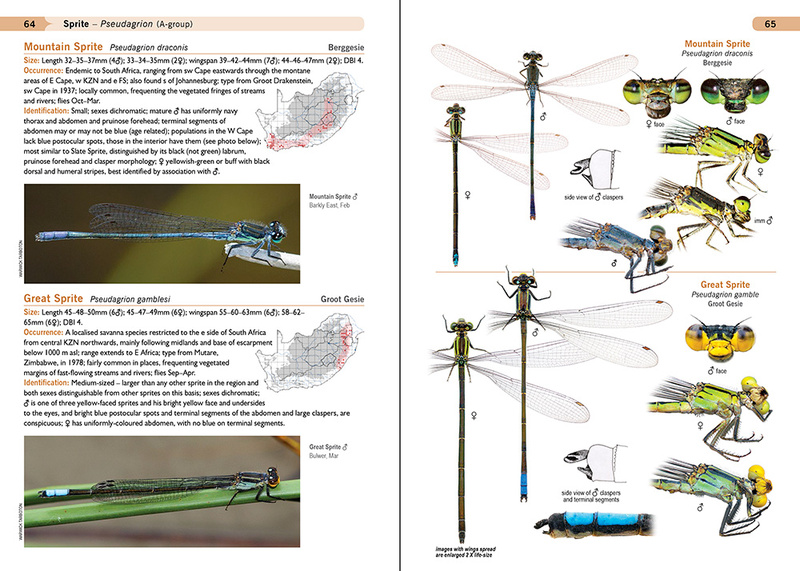 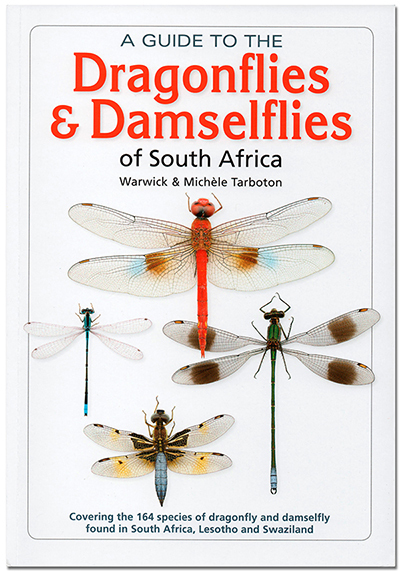 Our new book, A Guide to the Dragonfllies and Damselflies of South Africa, published by Struik Nature, describes and illustrates all 164 species of Odonata so far recorded in South Africa. 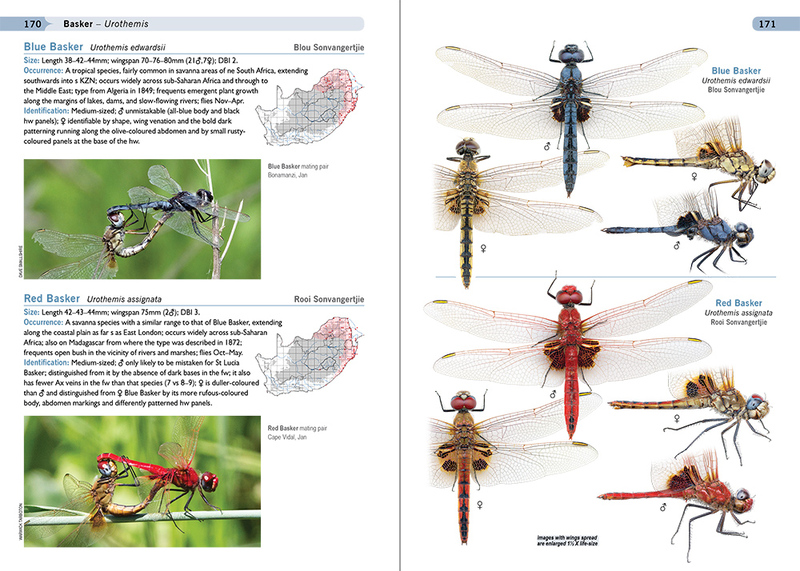 It provides up to date distribution maps for each species and includes over 1000 colour illustrations. 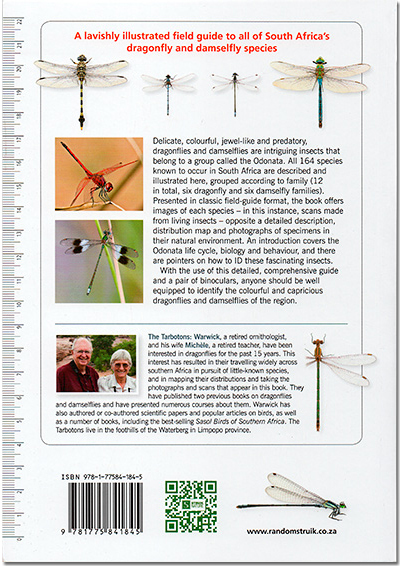 The cover and some sample pages are illustrated below.